Saturday, Jason and I went to the park for a BBQ with some coworkers. 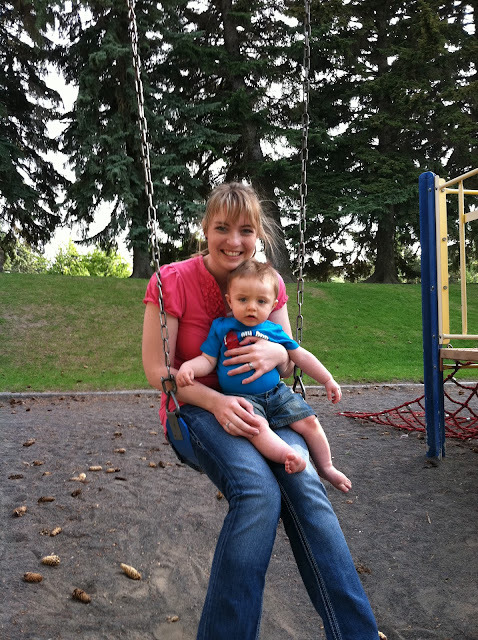 Carson and I decided to swing and he LOVED it! He was laughing the entire time! By the time Jason came to video it he was ready to be done, but swinging will be something we do a lot this summer. He is so cute! Kallie loves to swing too. I can't believe these babies are almost one!! !